Fall uniform for me this year includes heavy use of nudes and light pinks paired with dark, plum lips. Initially I bought Cyber by MAC, but the sheer glossiness of the lipstick wasn't me, so I stuck with Volga super matte lipstick by Nars. Hit the spot. And of course the surprise flowers from boyy made their way into my hair. Gorgeous ensemble. Love the skirt and your hair do. this outfit is so pretty! 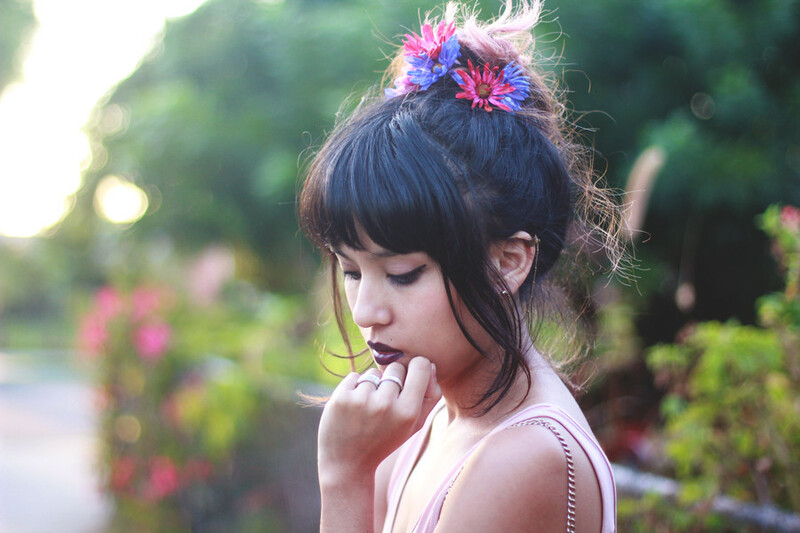 gorgeous lip colour and love the flowers in your hair! 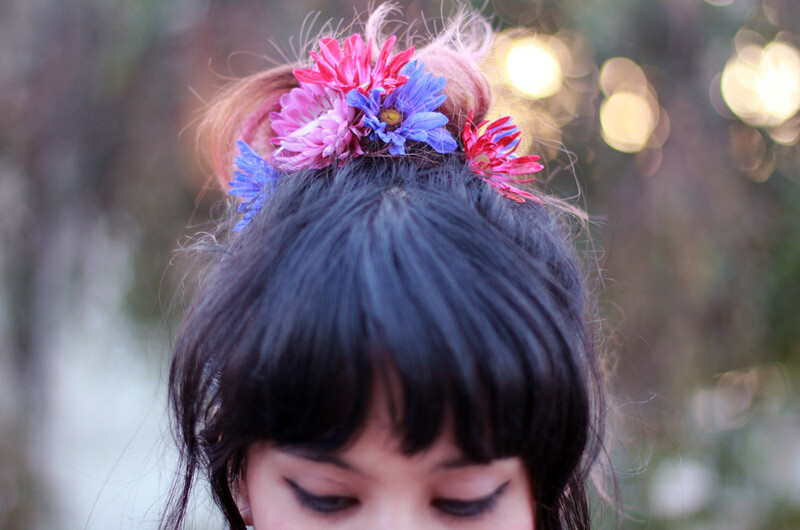 Adore the flowers in your hair. I love this,the dark lipstick gives a great twist to the look.Amazing. Lovely outfit and I love your hairstyle ! The pics and outfit are amazing! 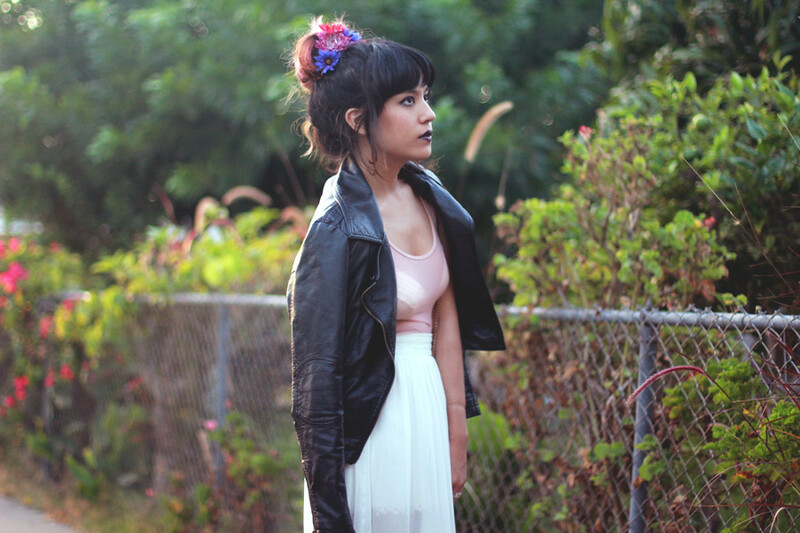 You should always be wearing a leather jacket. You make it look flawless! So pretty, love the transparency. Love the leathers with the pastel!